Hands Down THE Best Courses To Help You Grow Your Online Business - The courses in this bundle helped me focus and grow one of my niche sites that sold for over $25K only months after taking the courses!!! Quality over quantity. Sometimes the most important principles are also the most obvious, but people still overlook them all the time. While you want your links to be visible and attract the attention of as many people at once, you do not want to flood the internet with irrelevant links. If you are foolish enough to do that, you will dilute your brand, and your links will become synonymous with spam. Instead, be mindful of where your links appear, and make sure if someone clicks them, they lead somewhere relevant and engaging. Remember this is the guiding principle of good SEO practices. You provide quality content that is optimized so people can find you, not junk content that is trying to trick people into landing on your page. Embrace social media. It seems every web page you go to these days is asking you to like it on Facebook, Tweet about it on Twitter, or share it over a variety of sites including Digg, delicious, and LinkedIn. If someone does decide to do any or all of those things, you have just received the most valuable word of mouth possible. We all tend to pay more attention to these because people we like and admire are deciding something is noteworthy enough to recommend. Depending on your venture, this can seem silly sometimes, but it is a simple element to integrate into your website which can pay off big time. Share your opinion. Both Review and Q&A sites are extensions of social media, but they do deserve their own special category. While tracking what others say about your company and responding in a professional way are both good practices, writing reviews of other products and answering questions are also excellent ways to establish yourself as a resource. Amazon’s review and list sections are great ways to build relationships (and links) with consumers. Make sure that when you do this, your submissions are genuine, relevant to your brand, and truly helpful. Expand your website. These days, the most interesting (and SEO link friendly) websites are ones that offer more than just an avenue to whatever you are selling. Resource sections that explain things that relate to your products and provide instructions or ideas on how to use your services can add some quality content to your website. Yes, your website needs to be functional, but it can also be fun and informative. Blogs and forums are two other great ways to expand your website’s reach and foster deeper connections with prospective clients. Just make sure you are offering quality content and not content for content’s sake. If you need to hire a person or an SEO firm to manage that for you, do so. It will be a worthwhile investment. Focus on what is a good fit for you. Whether you are manufacturing widgets, making rock n’ roll, or offering a service that makes people’s lives easier, your primary focus should be on doing whatever it is you do well. When you provide something of value, link building will happen as enthusiasts spread the word. That does not mean you should not run contests, upload instructional videos to YouTube, or be an active internet presence. It means that balance and authenticity will mean more than throwing everything on the web to see what sticks. Invest your resources wisely and do not hesitate to secure some professional SEO help. Link building is still one of the best ways to increase your website’s link popularity and page rank. Building SEO links in positive ways makes a significant impact. Ryan Michael Farrell is a professional off site SEO specialist for the search engine marketing firm Wpromote. What Jobs Can You Outsource? Outsourcing is the wave of the future. You could pick up the phone in the United States and talk to a customer service representative in India. Alright, that probably won’t happen with your small business but you get the picture. Whenever outsourcing is viable, it will be employed. Before looking to outsource any of your business work, think about what jobs you can outsource. There are several considerations that are included in that decision. The last thing you want is to compromise the trust of your customers by making a wrong decision. Whenever you are dealing with a business, there are confidentiality issues. Your clients trust you with their personal and financial information. Anyone working for you must have that same level of commitment to the clients that you have. Outsourcing work that will include this and other sensitive information about your business needs to be placed in the right hands. Draw up a confidentiality contract. Anyone who wants to work for you must sign this contract stating that they will not reveal any information that they are given to a third party. Also, any work that they do for you is proprietary, meaning it belongs to you and not them. No one wants any breach of confidence but if there is one, you have a legal right to sue for damages with a signed contract. Working with someone who is in the same time zone has its perks. You can communicate in the same time and that person can answer you back directly when you call, IM or email them. It is like being in the same room. On the other hand, a person working in another time zone presents a delay in getting some projects finished. You wouldn’t outsource a job with time constraints on deliverables if your contractor was half a world away. Communication would be challenging to say the least if you needed answers right away. Everything depends on your type of business and how you feel comfortable working. You’ll notice that some of these jobs don’t involve any sensitive information. The ones that do require it need someone with the utmost of discretion. Having a website is important for an online business. Your website is where people will find you, get answers to their questions and buy your goods and services. Static pages, old content and faulty buttons are not going to win you any new customers. A website designer can handle the job of fixing website problems and making it search engine friendly. On your own, it takes a while to learn the ins and outs of setting up a website and keeping it up. Outsourcing to someone with these skills is a good idea especially if you know nothing about websites. Outsourcing involves farming out your work to qualified professionals for the benefit of your business enterprise. Large corporations have been doing it for a few years now with great success to their bottom line. These companies outsource jobs to other countries where they can be done just as efficiently for less cost. People get jobs and the company wins on all fronts. This concept is not just for the big companies. Small business enterprises can use outsourcing to their benefit as well. Whether you are running a small business out of your home or online, it takes work to keep everything running smoothly. There don’t seem to be enough hours in the day to get all of the work done. Consider outsourcing as a means of boosting your bottom line and lightening your load a bit. With an online enterprise, usually you are the “everything person.” You function as the bookkeeper, web designer, content writer, Internet marketer, customer service representative and the executive assistant. It could take the better part of a day to respond to all of your business emails or to handle bills at the end of the month. If you need help, there are affordable choices for small businesses. For you, outsourcing in the virtual world is a great option. People with certain expertise can help your business to grow. The trouble is finding these people and more specifically, the right people to handle your business needs. Outsourcing works best when you know what jobs you can outsource and which ones are best left in-house. Also, learning the benefits of outsourcing makes you more confident and knowledgeable when looking for an individual or company to contract with. Once you decide to outsource, you’ll need to know how to find who you are looking for. Creating an application and interview process gives you tools to determine who will be the best fit for the jobs you want to outsource. Virtual assistants are putting a new face on the process of outsourcing and proving themselves to be a great asset. How would you like to get a press release distributed for only $5? How about a video created for the same amount? An article written? Keyword research done? This list includes the best providers for those tasks and more! When you first start an online business, free time is non-existent. Either you are setting up a website or marketing your business or answering emails. Each job is important but it leaves no time for anything but work and sleep. Many parents begin home businesses to spend more time with their families. You may have that opportunity eventually, but in the beginning you’ll work almost as much as you did with your regular job. Outsourcing allows you to get a few of those piles off of your desk and into the hands of someone else. Life becomes a little better because you can now see the light at the end of the tunnel. With small businesses, if you don’t do it, it won’t get done. This includes the big M – marketing. In order to sell your goods and services, people need to know that you exist. Putting the word out there about you requires a marketing strategy that includes advertising. Just researching the market and establishing an online presence takes a big chunk of time each day. When you outsource some of the tasks within your business, it leaves more opportunities for you to handle more pressing work of the business that requires your attention. Developing a marketing plan involves trial and error but that won’t bother you as long as you know that all your other bases are covered through outsourced companies or individuals. Anyone who has ever owned a business or patronized one knows how important customer service is. A business, especially a small one or an online enterprise can be made or broken on the strength of their customer service program. Each customer wants to feel special, as if they are the only one that you have. A good customer service program takes care of their new and returning customers. Questions and emails are answered promptly. Issues with merchandise are rectified rapidly. Outsourcing customer service to a third party frees you from answering business related emails or telephone calls. The customer’s need is met and you only answer emails or calls from anyone who needs your expertise to handle their situation. You go into business to make money. It is true that you want to be the boss, but without money coming into the business your stint as head honcho will be short lived. Maybe you want to expand your business but don’t see how without some additional help. Outsourcing some of the daily duties allows you to focus on streamlining business functions and finding new markets to explore. If you have more money coming in than going out, you are doing something right. One way to lower your costs is to hire virtual contractors instead of employees. Employers are responsible for their employees’ health care benefits package and unemployment insurance. Outsourced jobs are done by contractors. Virtual assistants and other companies that you hire to take some of the burden off of you are also business owners. As such, they pay for their own health insurance and any other expenses they might incur. You don’t pay for equipment or lunches or breaks. The actual time spent on your projects is all that you are being billed for. Many online businesses use contractors instead of regular employees. In the beginning, you usually can’t afford to have any full-time people working for you. Outsourcing allows you to keep that status quo and increase your profits at the same time. As we stated before, outsourced work is done by contractors who are also working to build their own businesses. They have built a reputation of reliability and on-time product delivery. It is as important to them as it is to you to do a good job. Most virtual assistants and other contractors bring a wealth of knowledge and expertise to the table. You might need a person who can answer your emails and perform customer service duties. That same virtual assistant may have extensive experience in website building. They can be of assistance to you further in other ways. Choosing contractors, who have many talents instead of just the one you need at the time, will save you headache if and when you need more jobs outsourced. A knowledgeable person can troubleshoot problems and answer your questions without the need to consult yet another person. When you run an online business, you deal with people in many different time zones and countries around the world. While you are sleeping, your clients are just starting their day by bombarding your email and voicemail with messages. That means a lot of busy work to do when you get going in the morning. One thing to consider when outsourcing your work is the location of the contractor. If they are living in another time zone, this benefits you because while you sleep, they are still working and taking care of clients. It is like a 24 hour convenience store. There is always someone on duty. Handling responsibilities like that requires someone you trust implicitly. Huge list of excellent providers you can outsource to! I feel like kicking myself over and over again. At least my Jeet Kune Do training will be of some use. Sometimes the simplest things can increase traffic tremendously. And I am mad at myself for not doing it sooner. Do you know that most of your blog readers would definitely have some kind of social media account? It could be Facebook, Twitter, Google Plus or maybe something else. Why not? Don’t you have a social media account with any of those websites? I bet you do. Because you are a blogger, a part of a blogger natural skill is to network online. And social media is a no-brainer thing. If you have a social media account, why don’t your readers? And because of that, you could easily be increasing traffic to your blog if you simply add a simple way for your existing readers to share your website with their friends. I am sure you have seen it on other websites. You see little icons and buttons with logos of most common social media sites. Those little things are so tempting to click on. Especially when the blog that you read really captures your attention and you feel that this is worth sharing. And when you click on them, the URL of the page that you are reading instantly appears on your Facebook Wall, or maybe just got Re-Tweeted it on Twitter. Well, if you are using WordPress, there a really easy way to do that. You can simply add a plugin to your blog. And I recommend Socialize. Now, this part of the ninja thingy. With Socialize, you can simply add buttons to major social media sites like Facebook and Twitter in each of your blog post instantly. It will appear in little buttons with the share count. Of course the share count starts with zero, indicating nobody has shared your blog post. But the share count itself acts like a reason to click on because you feel like you are obligate to get the numbers up. And here’s the ninja technique: when you have bigger number in those boxes, they tend to get shared a lot more. So here”s what you need to do. First install the Socialize WordPress plugin. Next share those blog posts yourself first, especially all the new ones you just created. Just make sure that the number in the box is not zero. Now, the second part of the ninja technique to increasing your traffic with social media. With Socialize you can have the social media share button appears on the top right or at the bottom of the blog post. The one at the bottom is called the Call-To-Action box. I want you to use the one that makes the buttons appear at the bottom. Because that is the best time to ask your readers to share your blog post with their friends. Well, in business, you got to ask for the things you want. If you want your readers to share your website, ask them to do it. And that is exactly what you are going to do. Write a big headline calling the readers to do something after reading your blog post. It could be “Finished Reading? Now Do This…” or “Tell Your Friends”. You could test those out and see which works best for your blog. Well, blogs write about different things and communicate differently to different readers. I believe you know your readers best. So I am going to leave the call-to-action phrase to you. But make sure you do have a call-to-action. Customers are more likely to act when you tell them to. Now don’t start saying that these are not really ground-breaking techniques, even though they aren’t. If you have not done this, do it. Give it a month and then compare your statistics from the previous month. You will be amazed. When I did this at one of my old blog, traffic increased by 35%. I am not getting any new keyword rankings at Google. I wasn’t doing any new link building. But I am seeing a lot more traffic coming in from Facebook, Twitter and StumbleUpon. Maybe it is your turn? In a recent poll, I asked our business friends and peers if they preferred keyboard or the mouse. Almost everyone said they can’t live without the mouse. I have to admit is quite difficult to work today’s programs and even the Internet without a mouse. Far too many sites and applications have interfaces built specifically for interacting with the mouse. When I had my first taste of computers it was the other way around. Sure, I love the mouse it does make things a lot easier than typing long strings of commands or having to remember shortcuts. Yet, the mouse can also slow you down. You hardly notice it though because moving our hand between the mouse and keyboard is so ingrained into us, it has become a habit. I surely didn’t notice it until I found myself pausing a minute to orientate myself whenever I was switching between the mouse and keyboard. Another scenario. My husband is a classic mouse person. Whenever he has to select a word or block of text to copy, he highlights it using the mouse, right clicks and clicks copy. Then right clicks to paste again. Trouble is, he’d take forever to make the selection as accurate as possible and it takes him a second or two to find the copy button in the menu. I’m always so frustrated because it would be so much faster to hold down the shift key and right/left/up/down buttons to select, then Ctrl+C and Ctrl+V (on Windows). 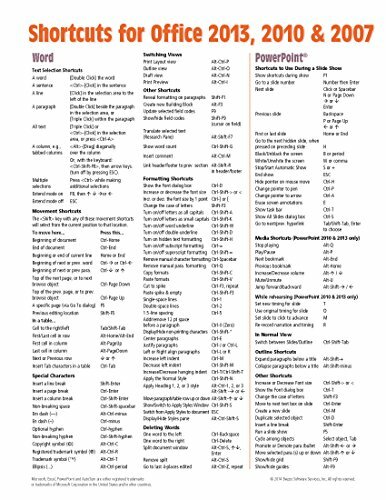 This is not a Windows vs. Mac thing both operating systems have many keyboard shortcuts built in natively and all apps have some shortcuts. You just have to look them up. 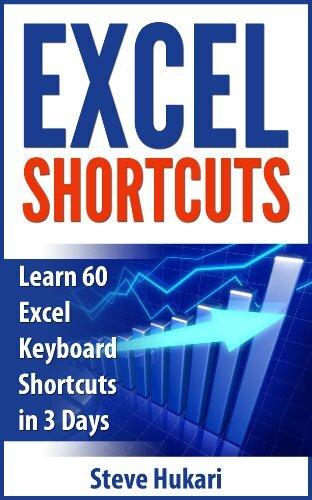 Once I realized what a pain it is to keep switching, I began to look up ways to quickly switch, save, close, open, navigate, enter data into anything I am working with using keyboard shortcuts and am quite amazed how much more productive I am. There is a down side to shortcuts – you have to memorize them. Because of this, it will seem like you are taking a whole lot longer especially when you’re just starting to learn the shortcuts. I certainly don’t memorize every single shortcut for every program. However, I make a point to learn the ones that are standard for the operating system and also the programs that I use daily. In fact, I recently learned more shortcuts for Evernote and it’s allowed me to write several blog posts faster than I used to and that’s a good thing. 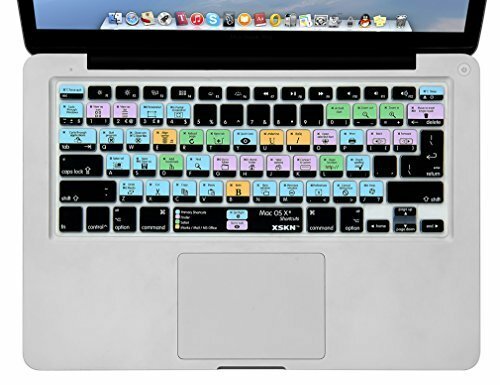 Never did I peg myself as a keyboard user, yet after giving it a fair trial, I’m hooked and the benefits show. Pick a program you use multiple times throughout the day, it could be the browser. 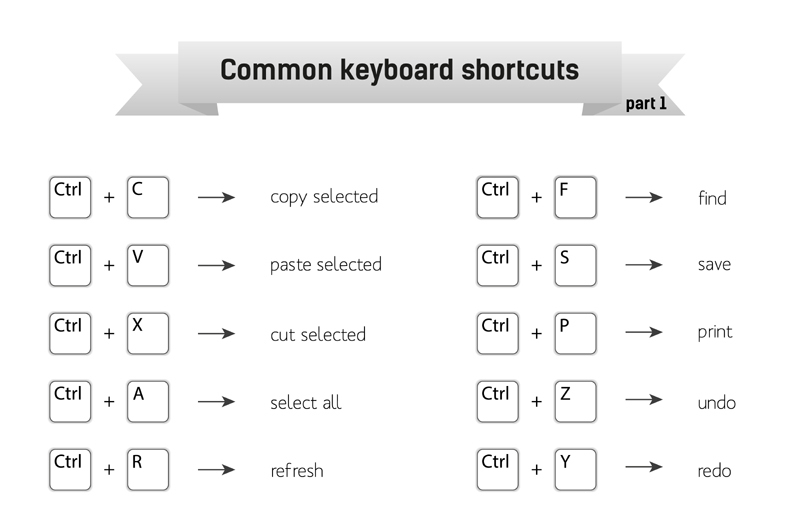 Learn a few shortcuts and try it yourself.